It's Christmas Day and Santa's friends and family have gathered for lunch. Who is cooking? 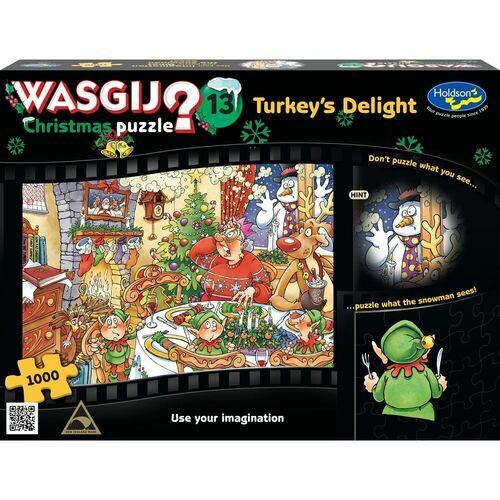 Why are the guests looking puzzled and the snowman concerned? Who is not staying for lunch? What smashing dishes will be served? Try to imagine you are the snowman at the window. What he can see is the picture you have to puzzle. Don't puzzle what you see... puzzle what they see! 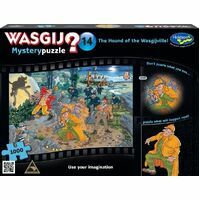 Wasgij is the hilarious puzzle concept where the image on the box is simply a clue to the puzzle inside. Only the puzzle holds the answer!